We do contract freeze drying for many of Australia's leading superfood businesses. 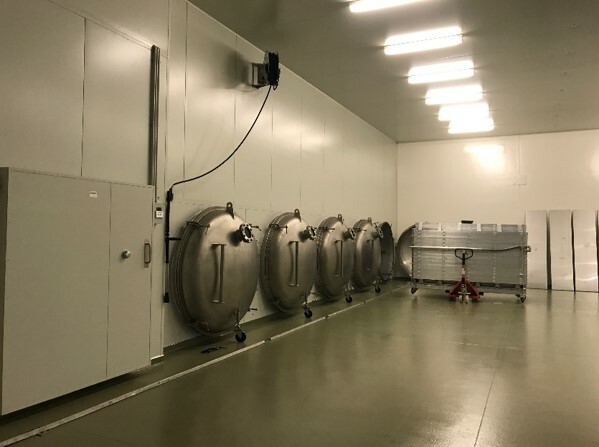 Established and emerging entrepreneurial marketing organisations are realising the enormous benefits that top quality freeze drying brings to not only consumers, but their business. Typically the raw materials are received as individually quick frozen (IQF) in a prepared format that we can load directly on to our freeze dryer trays. This provides the most economical and efficient production handling and ensures that quality is maximised and delays minimised. Please contact FDI using the form below or simply call directly and we'll discuss your specific needs and intentions. We have thousands of batches experience to draw on to assist and ensure that we are producing the best quality freeze dried products for your business.